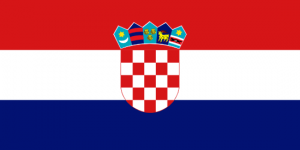 "Croatian Spoken Language Interpretation over Video Remote Interpreting (VRI) is the perfect solution when you want to provide the best foreign language services available." A simple, affordable solution for effective communication between you and your Croatian speaking customers! Over-the-phone interpretation (OPI) is an affordable and convenient way to manage calls with Croatian clients and colleagues. Our OPI Croatian interpreting services are available anywhere, anytime, instantly. HIS Sign has partnered with a leading spoken language company to deliver an instantaneous connection to a Croatian interpreter from your phone. By simply dialing our number and selecting your preference, you will be connected to an experienced Croatian interpreter with industry experience and total fluency. Our exceptional interpreters will be part of your call, and will listen to your Croatian speakers and relay the meaning of their portion of the conversation to you in real time. Our over the phone interpreting services cover over 200 different languages! THIS affordable solution is perfect for international conference calls, virtual meetings, personal use, and more. By accessing our diverse network of interpreters, you can ensure that you will be able to effectively communicate with colleagues and clients across the globe. Make sure to contact us today if you’re in need of over the phone translation in the Croatian language. Croatian OPI from HIS Sign is available immediately, 24/7. The process is nearly instantaneous, so don’t hesitate to get started.